Our collection of Rail Holidays gets you on track for witnessing spectacular scenery in Australia, New Zealand, Canada, Alaska, Norway and South Africa. 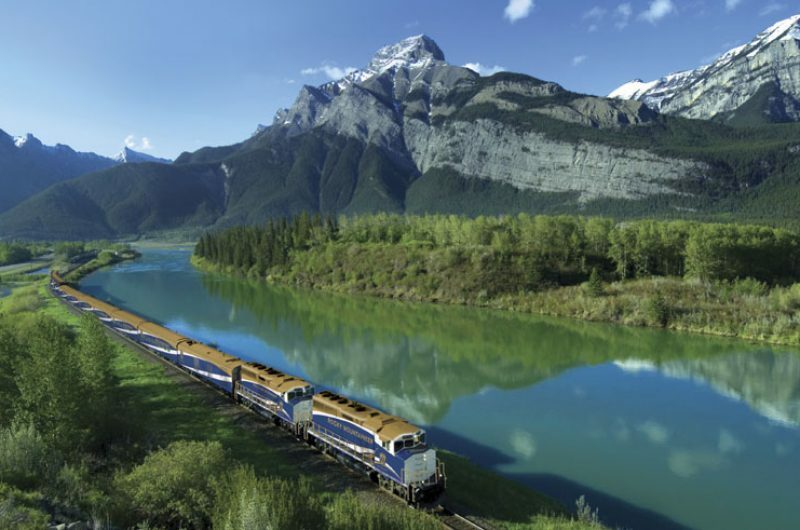 Some are great classics, like the Ghan, which crawls nearly 3,000km across the Australian Outback between Darwin and Adelaide, or the Rocky Mountaineer which weaves through the Canadian Rocky Mountains between Vancouver and Jasper. Nearly 200 years after Robert Stephenson invented the Rocket, train travel is still one of the most civilised and enjoyable ways of getting from A to B. Rail journeys are not only steeped in nostalgia, but they also provide a calm, comfortable space in which you can sit and relax, lulled by the gentle rocking of the carriage as you gaze through picture windows at the world passing by. Experience spectacular rail journeys and boat cruises on this escorted group tour. 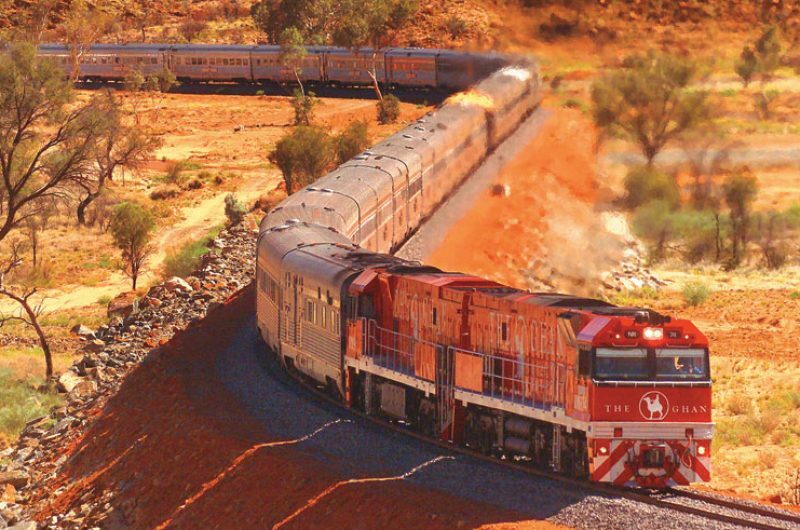 Experience the very heart of Australia aboard the legendary Ghan railway from Darwin to Adelaide. Step back in time and discover one of the best railway journeys in the world. Travel from Pretoria to Cape Town aboard the opulent Rovos Rail. In New Zealand, you can sample several train trips in one holiday, combining the Taieri Gorge Railway and Glenbrook Vintage Railway with the legendary TranzAlpine, which traverses the breadbasket of the Canterbury Plains before climbing into the Southern Alps above the milky-blue meltwaters of the Waimakariri River. Equally breathtaking is the train journey from Oslo to the mountain station of Myrdal, crossing Norway’s high plateaus before linking with the famous Flamsbana ‘Corkscrew’ railway to take you deep into the fjords. In Alaska, we offer adventures on the Alaska Railroad in both summer and winter. Imagine the thrill of boarding a train in Anchorage bound for Denali National Park, the Kenai Fjords or Fairbanks! A great alternative to self-drive, you’ll see Alaska at a different pace and – like Canada’s Rocky Mountaineer – some carriages have glass roofs, providing wonderful views of the forests and mountains. Of course, one of the great pleasures of train travel is the onboard service. Several of the rail holidays we offer are renowned for their fine dining, attentive stewards and luxury touches. 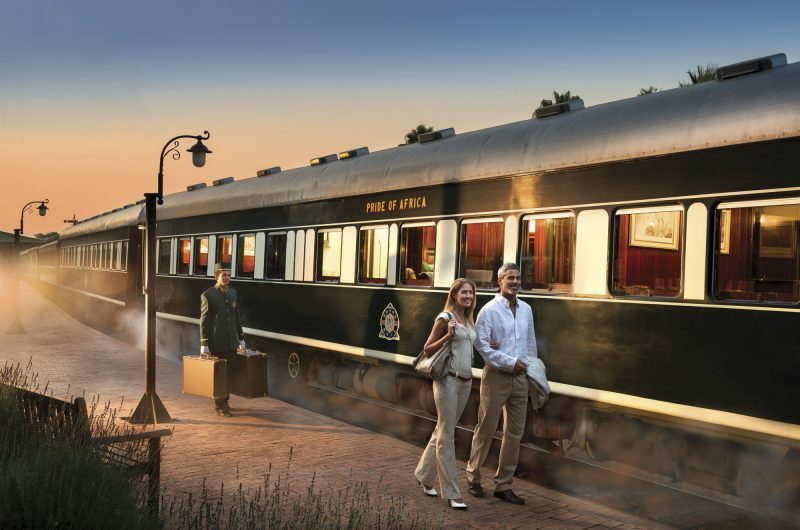 For the ultimate in indulgence, however, hop on the Rovos Rail between Cape Town and Pretoria, experiencing all the romance and opulence of rail travel from a bygone era – complete with wood-panelled suites, silver service and Victorian-style lounge carriages.